Food Review: Francesco’s Pizzeria- Good VFM For Your Italian Cravings! I first heard about Francesco’s Pizzeria when they were recently in the news because of their innovation in pizza delivery, using an unmanned drone. This innovation was heavily critiqued, but definitely caught a lot of eyeballs, like mine. I love technology as much as I love food. (actually, food tops any list for me 😉 ). So when a friend suggested an after office meal here, we immediately agreed to check if the quality of food equals the hype. This place totally exceeded our expectations. The warm & colorful ambiance! For me good food gets better with good ambiance. 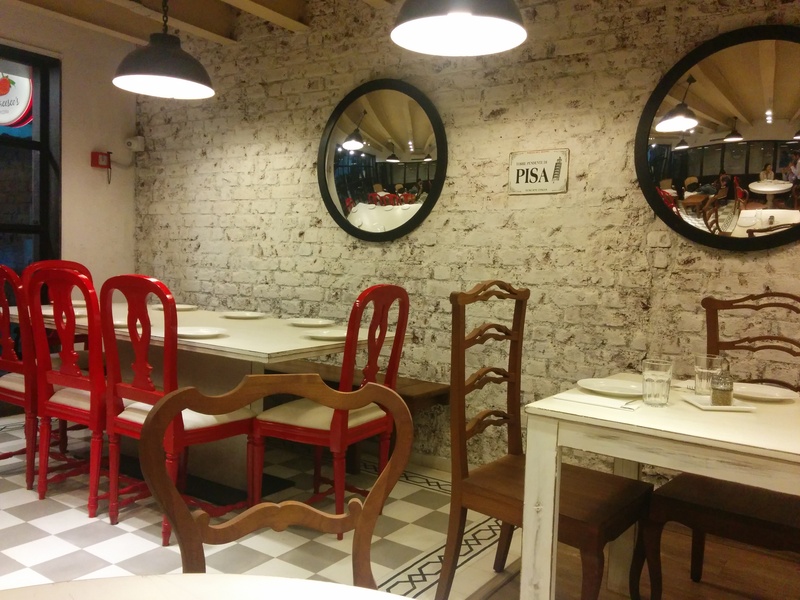 Francesco’s Pizzeria’s outlet in Phoenix Mills, Lower Parel is very bright, cheerful and inviting. Giving you the Italian Cafe-ish feeling are the various frames hung on bright white bricked walls. We started with a Iced Lemon Mint. I’ve had Ice Teas which are very sweet or not very sweet, and full of artificial flavor or one of the flavor overpowering the entire drink. But this one was refreshing and sweet to the right level. The mint flavor not too strong. A blessing in the October Mumbai heat. Next in the line, on our server’s recommendation, was the Peri Peri Chicken Pizza (Peri Peri Chicken morsels & Green Onion with Mozzarella, drizzled with Coriander and Lime Mayonnaise). According to This is reportedly the best selling at Francesco’s Pizzeria. 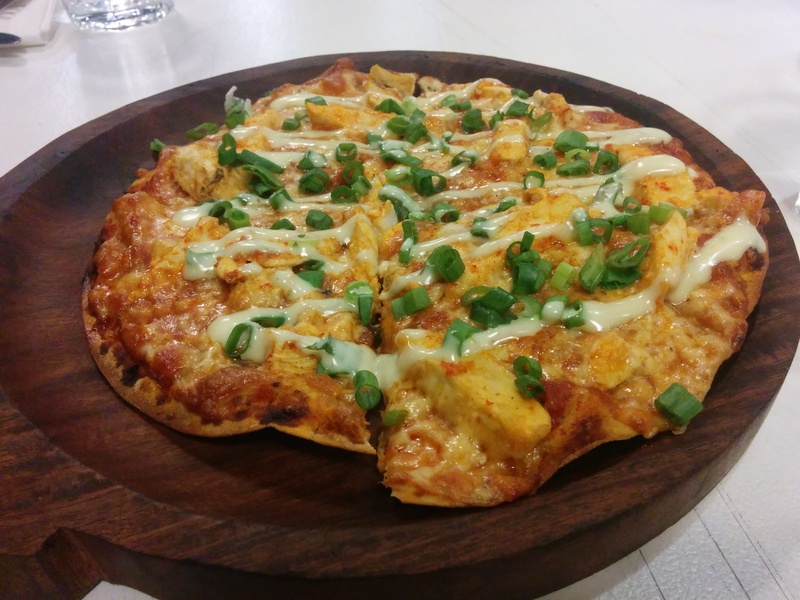 The Peri Peri Chicken Pizza comes with a lot of chicken chunks grilled in Peri Peri sauce. We had ordered for a 7″ pizza (the smallest one, as we had other dinner plans) but after tasting the first piece, we wanted more! Yes it was nice and cheesy with the right amount of chicken. All in all, this bright, cozy and cheerful VFM restaurant is a perfect place to indulge in when craving for something Italian or when you’re shopping at Phoenix Mills. I’m definitely going here again to indulge in a full meal. 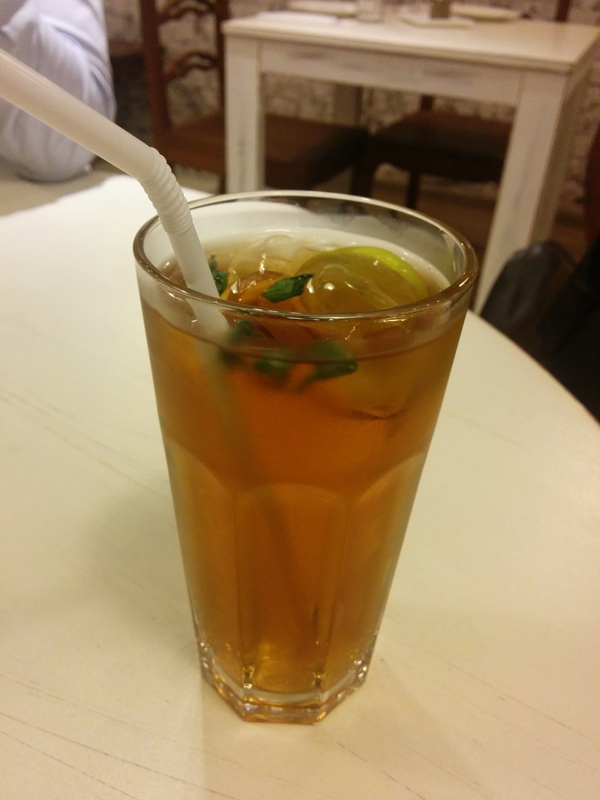 Restaurant Review: Grandmama’s Cafe (Lower Parel) – Warm Ambiance, Good Food and Easy On the Pocket! ← I-Day Menu at Pondichery Cafe, Sofitel BKC- Impressive!